It was over two years ago that Universal Studios and Imagine Entertainment optioned the rights to Anne Rice‘s Vampire Chronicles with the intent to make film adaptations from the popular novels. Now, the author has revealed that the theatrical rights to the books are back in her hands, and she plans to bring the story to television. 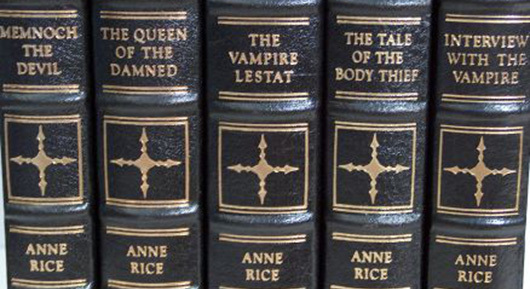 Rice posted to her Facebook page that she and her writer son Christopher Rice will be developing a pilot script, as well as a detailed outline, for an open-ended Game of Thrones-style television series that will be faithful to the tale of the vampire Lestat. This is the opposite of the potential Twilight-like franchise Universal reportedly had been aiming for when they held the rights.